Here is another one of my easy recipes: vanilla pudding recipe. I have never tried to make it before, but I got inspired by this blog here: foodimentary.com. So, here is my simple vanilla pudding recipe. Take 6 tablespoons of milk and mix them with all the starch. Set the mix small heat and get let it boil. Stir the mix constantly. Then add salt, sugar and egg yolk and stir up well. Pour the mix to the rest of the milk and set on low heat. Let it boil and keep on stirring. Add vanilla (I used vanilla sugar). Soon you’ll see, how your vanilla pudding is getting thicker. Once it gets thick enough, turn off the heat. Beat the egg white well and gently add to the hot pudding. The egg white would add the air and bubbles to your pudding. 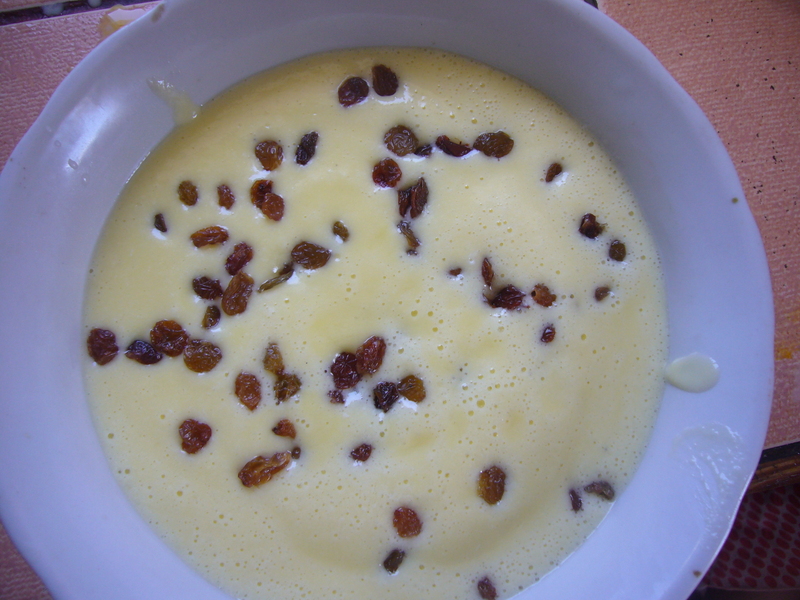 Add raisins, if you want to and set the vanilla pudding into your fridge to cool. Done! It took me about 10 min to make my vanilla pudding this way. This entry was posted in Easy Recipes and tagged cooking, desert recipe, easy cooking, easy recipe, food, recipes, tasty food, vanilla pudding, vanilla pudding recipe. Bookmark the permalink.